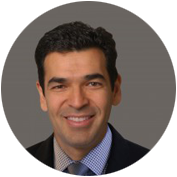 Dr. Majid Moshirfar is a board-certified ophthalmologist and fellowship-trained cornea specialist. He is the Clinical Director of Hoopes, Durrie, Rivera Research. An internationally renowned corneal and refractive surgeon, Dr. Moshirfar brings a history of innovation in cornea surgery, a strong background in clinical research, and a prolific legacy of academic teaching, publishing, and speaking. Immediately before joining Hoopes Vision, Dr. Moshirfar spent a year as a Professor of Ophthalmology at the University of California, San Francisco. Prior to that appointment, Dr. Moshirfar served on the faculty of the University of Utah’s John A. Moran Eye Center for 18 years, including 16 as the Director of Cornea and Refractive Surgery. Dr. Moshirfar earned his medical degree from the Georgetown University School of Medicine with Alpha Omega Alpha honorary recognition. He completed his ophthalmology residency at Illinois Eye and Ear Hospital in Chicago where, during his final year, he received the Best Resident Award. This was followed by a two-year fellowship with emphasis on cornea and external disease, refractive surgery, and anterior segment reconstruction at the Moran Eye Center, where he was trained and mentored by Hoopes Vision surgeon Dr. O. Claron Alldredge. Dr. Moshirfar then established his own cornea fellowship at the Moran Eye Center which has become one of the most sought-after fellowship programs in the country, training a total of 38 fellows. Dr. Moshirfar specializes in refractive surgeries such as LASIK, PRK, and ICL, as well as cornea transplantation, keratoprosthesis (artificial cornea), management of difficult corneal disorders, complicated cataract extraction, keratoconus, infectious eye diseases and other complex procedures of the cornea and anterior segment of the eye. Dr. Moshirfar has played a leading role in the development and dissemination of these procedures, particularly in the area of challenging refractive surgery techniques. Dr. Moshirfar has authored more than 200 peer-reviewed scientific publications and serves on the editorial boards of numerous scientific journals. He and his wife, Pegah, are parents of two sons and a daughter.